FREE Meatballs & Spaghetti At Macaroni Grill! 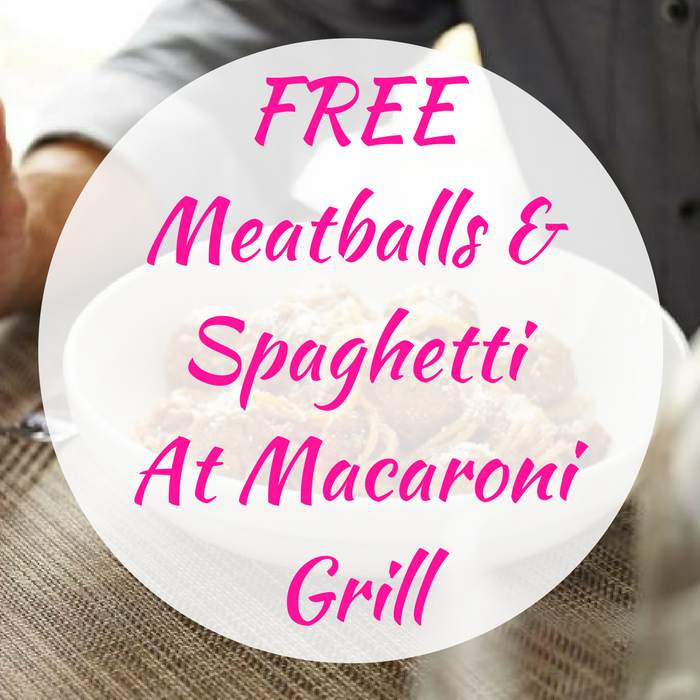 You are here: Home / FREEbies / FREE Meatballs & Spaghetti At Macaroni Grill! Until October 31 only! Calling all Fire Fighters, Police Officers, EMTs, Hospital Workers and 911 Operators with First Responder credentials! You can score FREE Meatballs & Spaghetti at Macaroni Grill! No coupons needed! Awesome!